The angle at which new Queen’s Wharf (nearest the camera) was positioned after the landslip ‘did not argue well for its safety’. 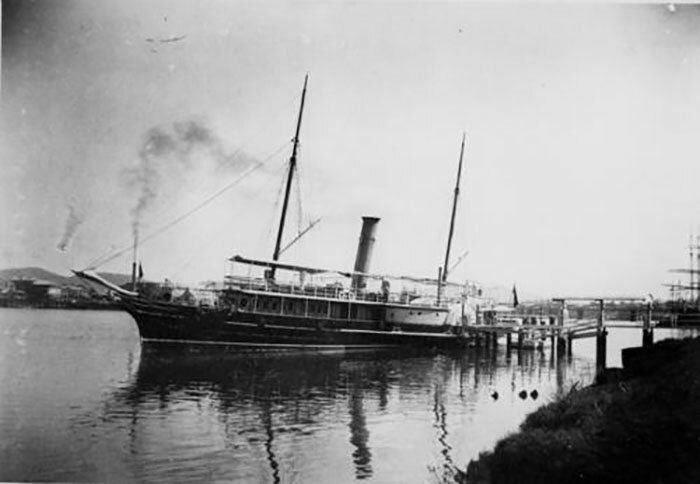 Fortunately the steamer Pacific had departed from the wharf servicing the Sanitary Plant when a landslip occurred somewhere around 6.30 a.m. on the morning of 7 February 1890, an event which followed a period of heavy rain that had caused a number of landslips along North Quay. Dunmore Arms Hotel, constructed 1865 and demolished 1887 to make way for the Treasury Hotel. In 2016 it is Irish Murphy’s hotel. From this building the crowd of 400 men surged. SLQ image 13046. On the night of 11 September 1866 a crowd of more than 400 hungry men who had found their way into the town surged from the Dunmore Arms in George Street. The Lucinda at Queen’s Wharf. In 1919 some 250 officers of the Department of Agriculture and their friends attended a function on the government yacht, Lucinda, to welcome home Agriculture employees who had served their country in the First World War. 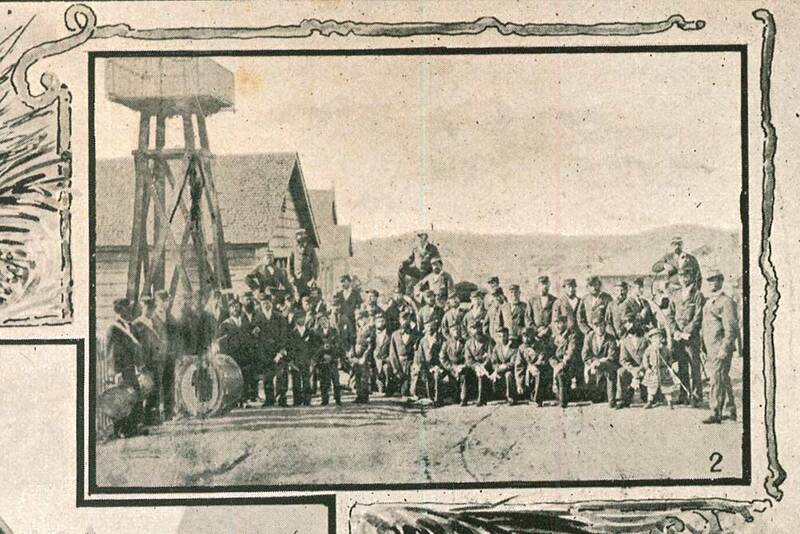 Ninety-one employees had enlisted from the Department; eleven had died in the conflict. The City Volunteer Fire Brigade and Band, 1868, two years after the ball was held in the Immigration Depot. 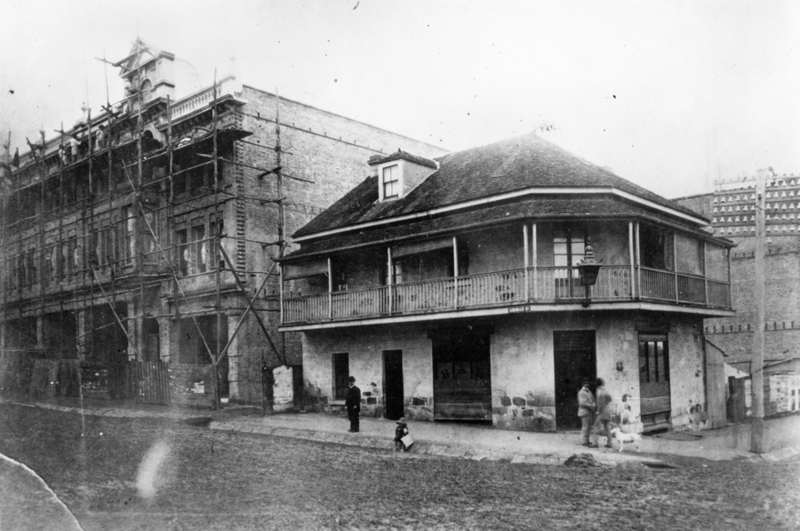 With so many timber buildings in Brisbane town, the threat of fire in the 1860s was a real one, as had been evidence by two significant fires in Queen Street in 1864, the latter of which destroyed fifty houses, two banks, three hotels and four drapery businesses. 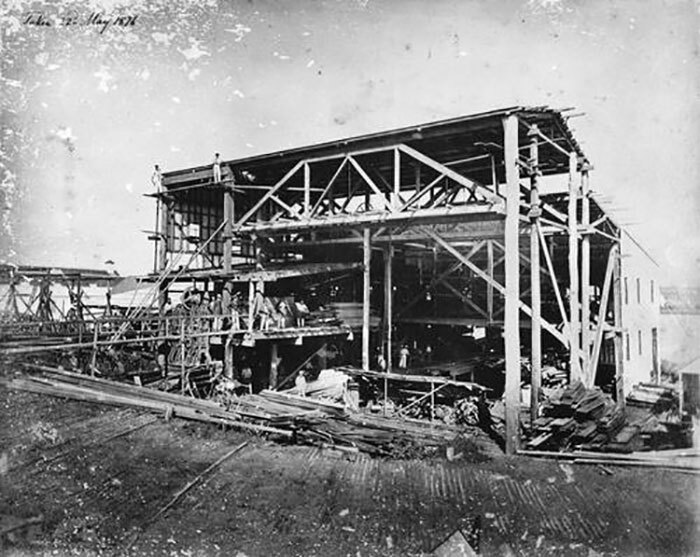 Pettigrew’s rebuilt sawmill, here under construction on 22 May 1876, was significantly larger than his earlier mills. Brisbane had no fire engine when the first serious conflagration for the town broke out on 8 July 1855, a Sunday morning, in the building that housed William Pettigrew’s steam saw mill. With no fire engine and few people about, Pettigrew’s first attempt at the mechanisation of timber saw milling in Queensland burnt to the ground, causing him an estimated loss of nearly £3,000. As material captured by the flood stacks against one the smaller of sawmill buildings, the Tadorna Radjah is buffeted in the current. 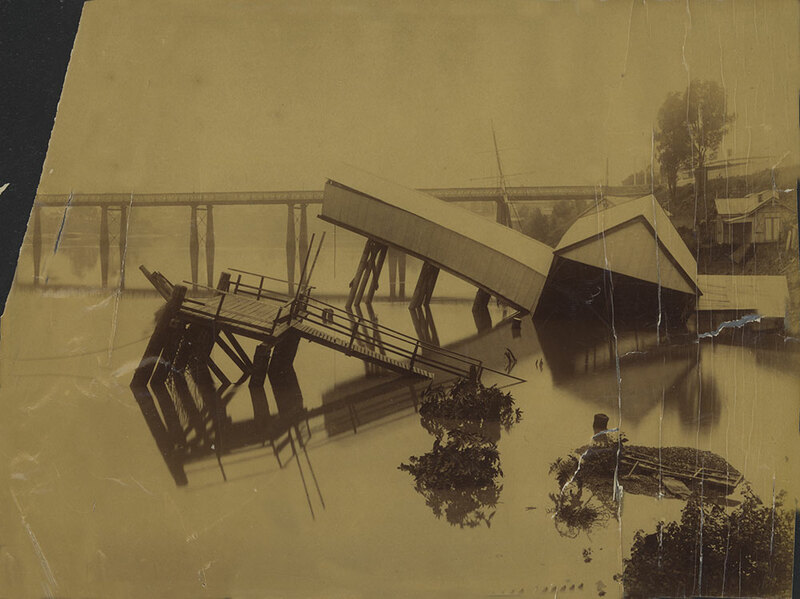 The Brisbane River rose in flood on three occasions in February 1893. An early cyclonic deluge was followed by a second cyclone event on 11 February. The third cyclone on 19 February peaked slightly lower than the first. 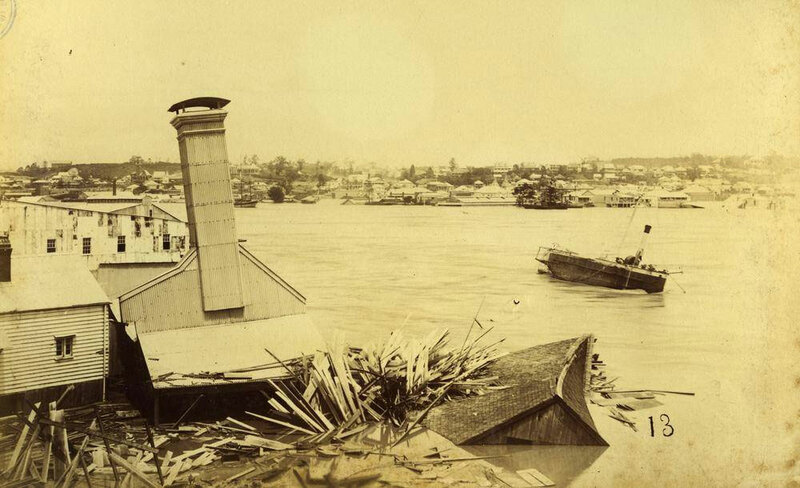 Destruction in Brisbane and beyond was widespread.